Brief: [login to view URL] is an online maternity fashion brand. 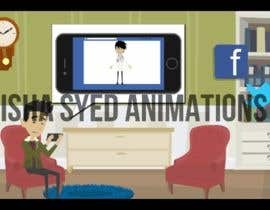 The client wants to promote the brand on you tube/online .The brief is to create a 1 kinetic films 30- 60 sec. (600 X 800 pixels) with appropriate music. Create an innovative film. 2. Online Maternity Fashion Store. 3. A fashion brand with a mission to make mothers feel confident, beautiful, and empowered”. 4. Contemporary, chic, comfortable styles for nursing and pregnant mothers. 5. Visit [login to view URL] Online Maternity Fashion Store. 2. A fashion brand with a mission to make mothers feel confident, beautiful, and empowered”. 3. Contemporary, Chic, Comfortable Styles for Nursing and Pregnant Mothers. 13. Online Maternity Fashion Store. Stage 1 Visit the website and observe interesting, factual /emotional information, interpret your findings and create a story board. Stages 2 Create a short film, Choose supporting graphics and music. You can take help of your faculty. Deliverables: 2 kinetic films 30 - 60 sec. Size should be 600X800 pixels. Submit: storyboard, images, fonts, graphics, music that you used, and open file of the work.